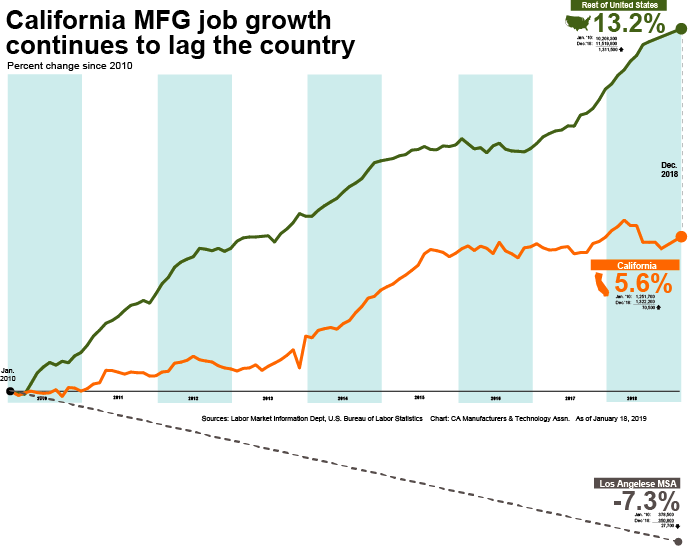 Last week the Orange County Register published new CMTA President Lance Hastings' inaugural op ed on his commitment to working toward the promise of new manufacturing opportunities in California. It's the first of many pieces that will seek to illuminate the ultra economic benefits of manufacturing, the challenges to new manufacturing investment in California, and CMTA's solutions and ideas to turn the state's long held dream into a promise. CMTA's regional manufacturing partner, Biz Fed Central Valley, is conducting an important poll on the impacts of laws and regulations on business in the region. Policymakers can only understand the impacts of new and proposed policies if they hear it straight from the manufacturers themselves. California's newest legislators make their first official appearance in the Capitol today as they get sworn in. Let's make sure we're doing our part to help them make California a more attractive place to retain and attract new manufacturing growth. YOU CAN ANSWER CENTRAL VALLEY BIZ FED'S QUICK POLL HERE. Please pass this along to others in the industry too.